So just a short update on Red Frame from this weekend, a very simple construction but arguably one of the strongest reasons to buy this kit. 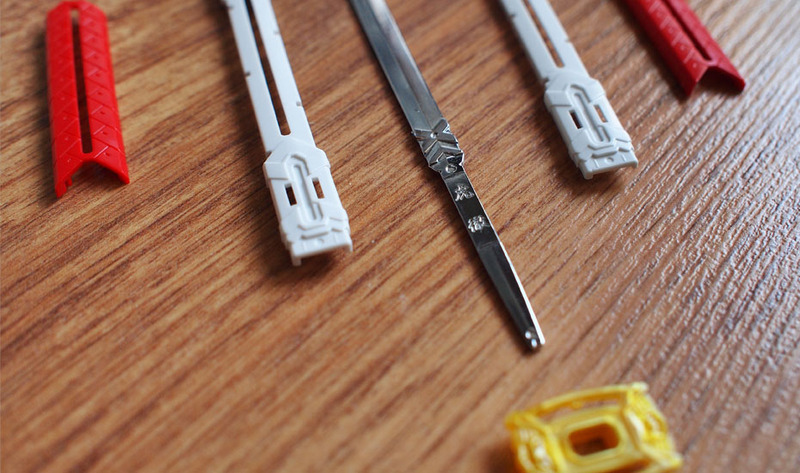 Years ago when I bought the HG Red Frame, the main pull aside from the units great looks was the huge katana-style sword it came with – the Gerbera Straight. 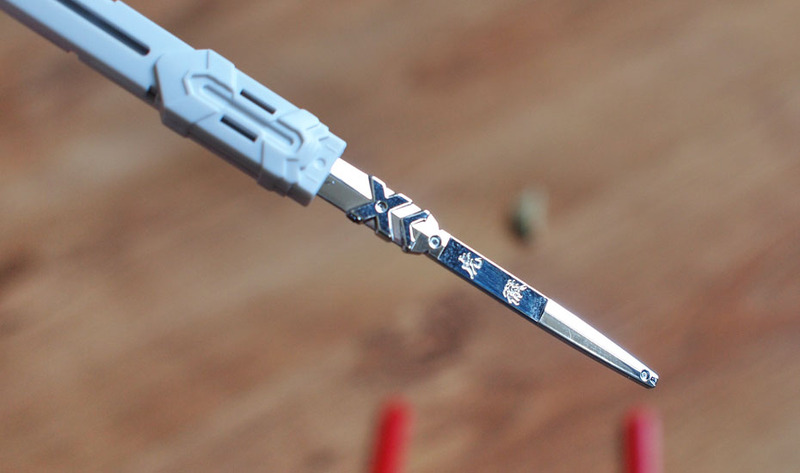 Well the Master Grade follows the Perfect Grade by doubling the awesome and adding a second sword, the Tiger Pierce. Dual wielding these great chromed blades will look awesome. 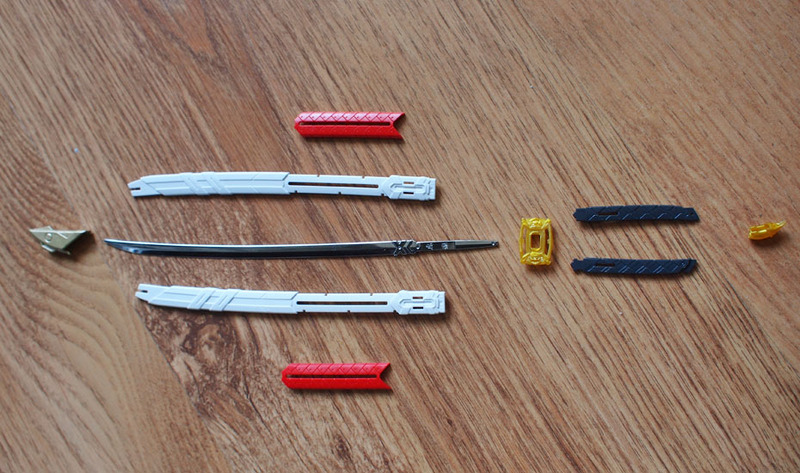 All the pieces to construct both the sword and scabbard. The design has had a bit of an overhaul and no longer requires any fiddly painting like the HG did. 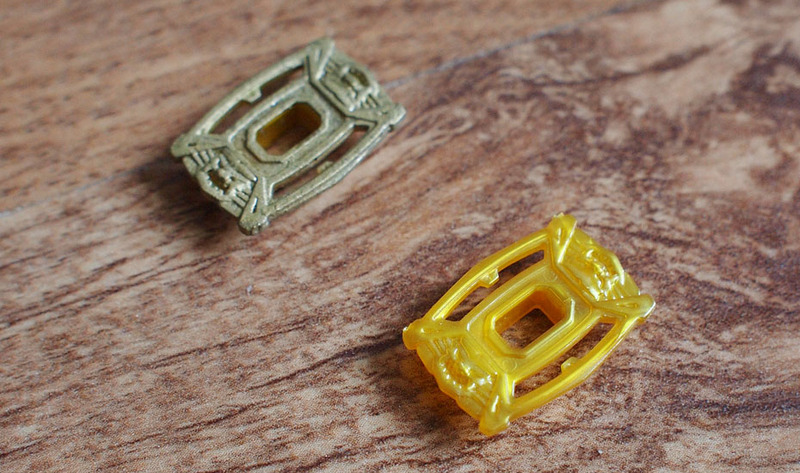 The stock gold parts are nicely detailed, but the colour’s junk. 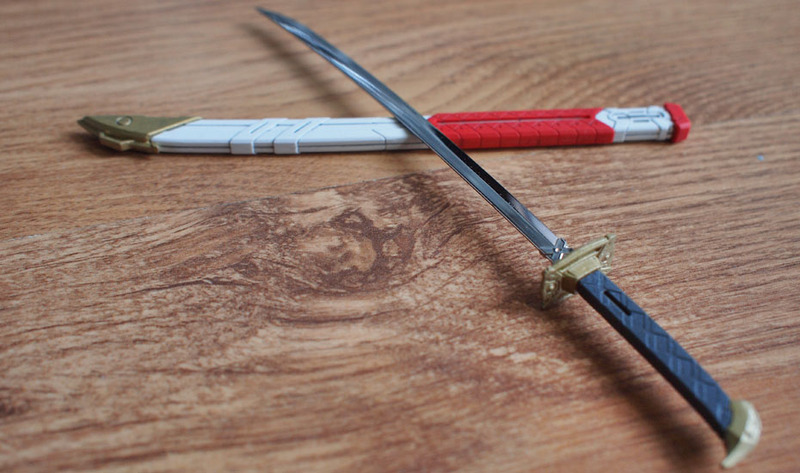 Both swords are adorned with signatures, amazing detailing! This is a shot of Tiger Pierce’s handle. A comparison of painted(left) versus unpainted (right) – no contest for me! And there we go. One completed sword and scabbard. Seeing as it was a pretty simple build I had time to line and topcoat, excluding the blade of course, it’d be a crime to dull that amazing sheen! Next, Tactical Arms II, oh yeah.